Because the field of electronic commerce has continued to expand so significantly in recent years, it has become necessary for businesses and organizations to address ways to develop successful business applications that aid in its effective utilization. 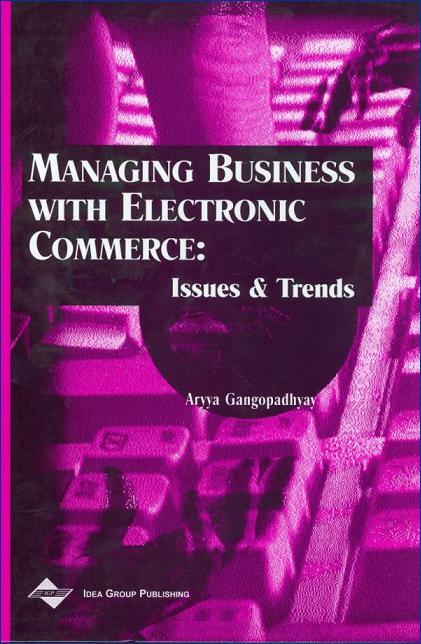 Managing Business with Electronic Commerce: Issues and Trends addresses this important need and is intended for students, practitioners, researchers and also a general audience with an interest in this innovative field. Aryya Gangopadhyay is an Assistant Professor of Information Systems at the University of Maryland Baltimore County (USA). He has a BTech from the Indian Institute of Technology, MS in Computer Science from New Jersey Institute of Technology, and a PhD in Computer Information Systems from Rutgers University. His research interests include electronic commerce, multimedia databases, data warehousing and mining, geographic information systems, and database security. 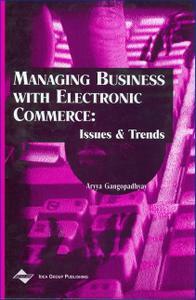 He has authored and co-authored two books, many book chapters, numerous papers in journals such as IEEE Computer, IEEE Transactions on Knowledge and Data Engineering, Journal of Management Information Systems, Journal of Global Information Management, Electronic Markets-The International Journal of Electronic Commerce & Business Media, Decision Support Systems, AI in Engineering and Topics in Health Information Management, as well as presented papers in many national and international conferences.